The ministry model of clay jars can take several twists: Are ministers cracked pots? Crackpots? Broken vessels? Is their work – to use another Biblical metaphor – but the sowing of grains of wheat that fall into the earth and die? 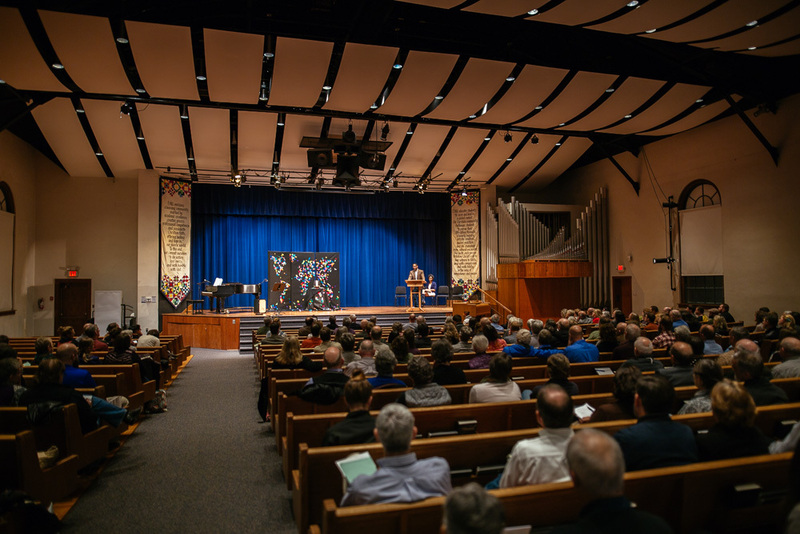 Proclaiming God incarnate even in brokenness – within themselves, in their congregations and neighborhoods, and nationally – is no small task for pastors. Eastern Mennonite Seminary’s 2018 School for Leadership Training (SLT) participants will explore themes of thriving and succeeding in ministry even in the context of so much reason to lose heart. The Jan. 15-17 training “Broken Vessels, Thriving Pastor” will feature keynote speakers Iris de León-Hartshorn, The Reverend Meredith McNabb, and an alumni panel. Seminars will feature a Charlottesville, Virginia, pastor who confronted the “Unite the Right” rally in August, a personal leadership coach, and various EMS faculty. In her keynote address “Bridges crossed, lessons learned: My journey in leadership,” Hartshorn will use her own life story as an invitation to face brokenness “as an integral aspect of finding one’s place as a leader.” Hartshorn is the director of transformative peacemaking for Mennonite Church USA and a leader in racial and gender justice in the church. In the final keynote, McNabb – an ordained elder in the Virginia United Methodist Conference, the director of the Center for Clergy Excellence, and former Washington D.C.-area pastor and attorney working primarily with low-income victims of domestic violence – will use as a guiding image the motif of kintsugi, a Japanese method for repairing broken ceramics with a special lacquer mixed with gold, silver, or platinum. The technique is based on the philosophy of recognizing an object’s history and, instead of disguising it, incorporating the repair into the new piece. Other events will include a pastor appreciation breakfast with EMU president Susan Schultz Huxman, facilitated conversation circles, a showing of Dr. Izzeldin Abuelaish’s film “I shall not hate: A journey of hope through faith, tolerance, and courage,” and worship. “Pastoring in the Landscape: Geological and ecological lessons” with Meredith McNabb, director of the Center for Clergy Excellence. For more information, visit http://www.emu.edu/seminary/slt/, call 540-432-4698, or email slt@emu.edu. I just read about this seminar. As a previous United Methodist pastor who was raised under the tutelage of a Mennonite pastor and has struggled with my own demons of doubt which can hopefully be as Frederick Beuchner suggests “the ants in the pants of faith” I want to offer this book I just published as a possible resource for this or future seminars. Writing it was both a frightening and fruitful exercise of vulnerability.